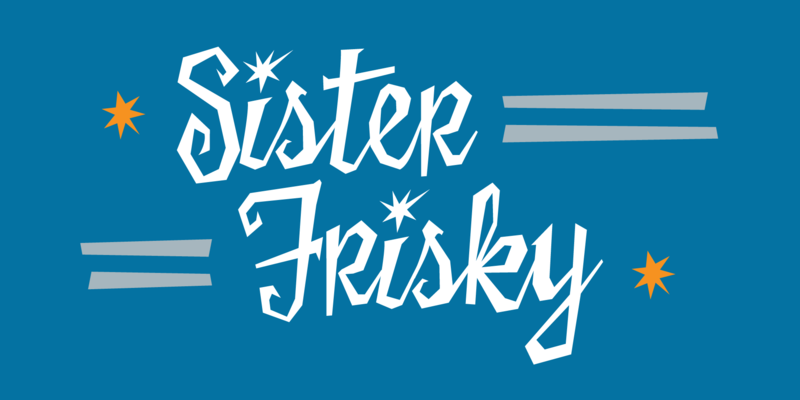 Sister Frisky - Chank Fonts! Sister Frisky jumps up and down and drinks a lot of coffee. There are no two parallel lines in this font, and no right angles. Here’s a flashy, dancing, retro script with an sharp edge and clear wit!